A deadly tornado, as much wide as one mile with winds up to 200 miles per hour, tore through the Oklahoma City suburbs on Monday. The tornado flattened entire neighborhoods, setting buildings on fire and landing a direct blow on an elementary school. According to the Associated Press, dozens of deaths from the Oklahoma tornado were reported by the state medical examiner's office. 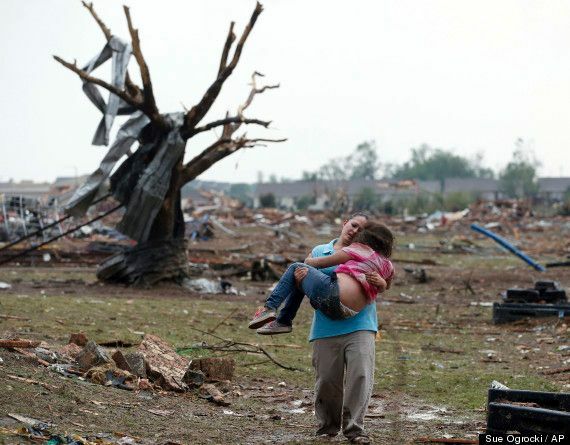 The deadly weather followed Sunday's tornadoes, which killed two in Shawnee, Oklahoma.